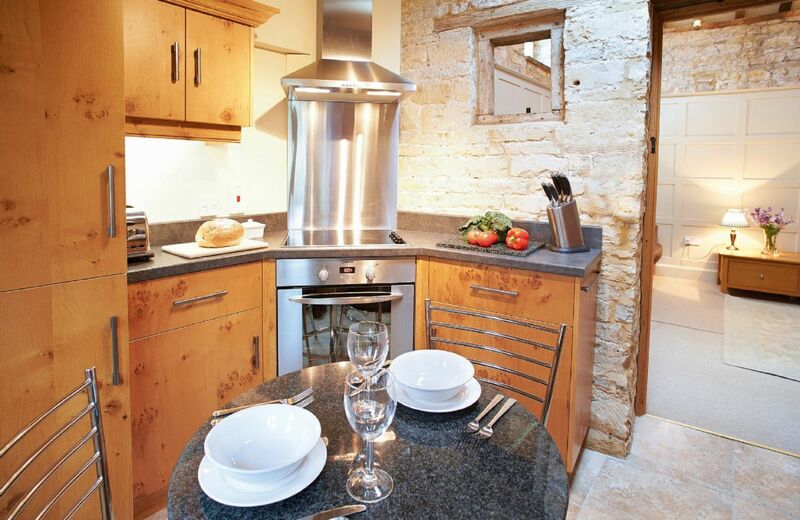 A comfortable and well equipped little cottage in a picturesque setting. Larger bath towels would be nice. The house was almost perfect for our needs; first time away without the children in 20yrs. It was in a picture perfect setting, the owners, in the attached house, were unobtrusive but available if needed and the home was furnished tastefully and appropriately. The kitchen was very well equipped and multiple place settings meant that we didn't have to wash every night. My only negative comment would be that I was disappointed that there was no washer/dryer (although I do understand that logistically this was not possible). I did overlook this when booking, but frankly, I would still have booked. I also understand that the home is probably primarily targeted at the domestic market but as visitors home on leave from abroad the ability to wash clothes prior to our onward travels would have been helpful. But still five stars!! The owners are doing everything right. Lovely garden but the nettles and weeds on the banks of the stream spoiled the view of the water somewhat. However it was the fulfilment of a life long ambition to live by running water albeit for three days!!! 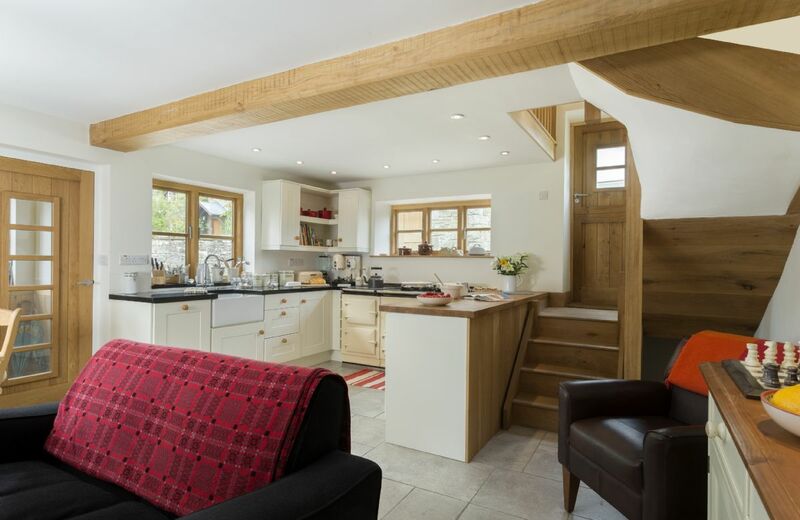 Beautifully presented cottage and well equipped kitchen. There is a small courtyard with table and chairs accessed up a few steps next to the house, Perfect place to sit for morning coffee. A generous welcome basket is provided for your initial provisions. I would recommend Mill Race Cottage, a lovely base from which to explore the surrounding area. We were most disappointed by the location and in particular the proximity of the road outside the property which meant the garden seating area was fully exposed to passing traffic. 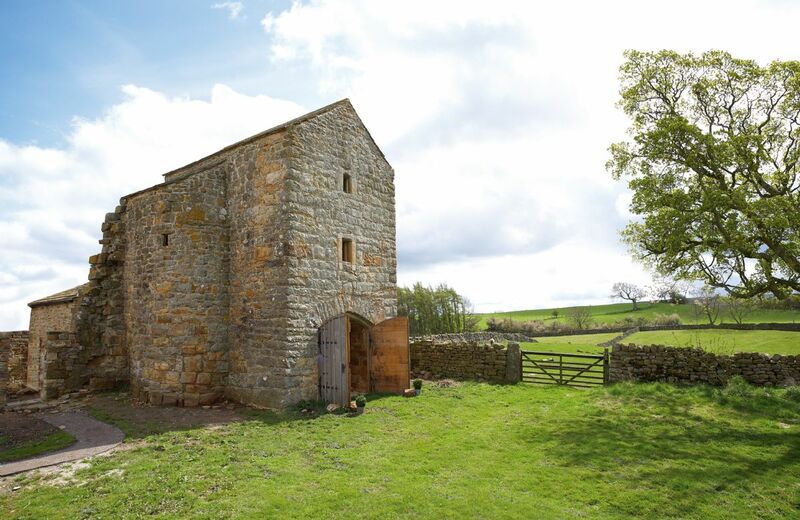 The property is marketed by Rural Retreats, we felt it was neither Rural or a retreat and felt disappointed and misled. I am so sorry that you were not happy at Mill Race Cottage. The Cottage usually has lovely feedback for its location - we can only think that there must have been a local event at the time which increased the traffic on the Clatterway, the local road nearby. Very comfortable and superbly equipped cottage. Beautiful cottage, astonishingly well equipped, and friendly owners at hand to guide this Luddite through the mysteries of modern appliances. Hardly went out all week, despite lots of opportunities; just lounging on the patio, listening to the stream was infinitely refreshing. We liked the cottage a lot. We have stayed in the Peak District with you at two different places. Both of them had the extras to make it special. Things you may require without having to buy - cooking oil etc. The welcome pack was a bit basis. Other properties we have stayed with you have been more imaginative and generous. The cottage was lovely and very comfortable. It was also very well situated for exploring the area. Very cosy ,had everything we needed for an enjoyable break away. good, but the given instructions for the heating control were not easy to follow. We had to ask the owner to help. 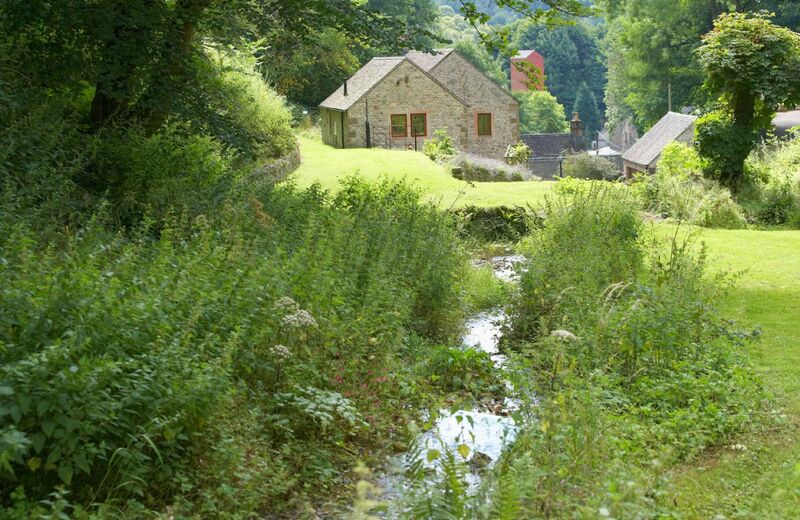 We have stayed in a lot of holiday cottages over the years and Mill Race was faultless and perhaps the best ever. The cottage was somewhere you were always happy to go back to after a day out. Its only fault, it can't control the weather ! Lovely apartment to side of main house. Everything you needed and l9vely grounds . Very clean and comfortable accomadtion. We had a fantastic stay at Miller's Loft and really appreciate the owners accommodating us at such short notice. The hamper provided was thoughtful, we particularly enjoyed the eggs from their chickens and the homemade marmalade. The flowers were also a lovely addition. The en-suite was well appointed although very small, which was fine for us but should be noted in the main information as it could be an issue for larger individuals. Thank you so much for your lovely feedback for Miller's Loft. I am so pleased that you had a great stay. the loft was very comfortable with everything provided. The cooker was especially good from one who is used to gas. The holiday was made even better by the owner family, lovely chats, and enjoyed watching the cows and chickens. Just the peace and quiet we needed to rejuvinate ourselves. Amazing! Such a relaxing holiday! A gorgeous place to stay! Beautiful location and excellent hosts, fresh eggs from their chickens and a scrumptious welcome basket. The cottage was spotless with everything you could need for an extremely comfortable visit - 5 stars from us!! Wow. Thank you so much for your lovely review for Miller's Loft.. Very pleasant accommodation. Clean, well thought out space with a great view. managed to use the balcony even though it was winter. WiFi was a problem OK on Kindle but not laptop. Thank you for your kind comments about Miller's Loft. I have been in touch with the owner who has confirmed to me that the TV does work – apparently there was an issue as it was left on standby but this has been rectified. Also the WiFi is working. It may possibly have been a problem with the laptop? I asked for a particular item in the welcome hamper and even though they didn't know it, they went out of their way to get it for me. Brilliant service! Everything was very clean and lovely. Immaculately clean (and I'm fussy about that sort of thing! 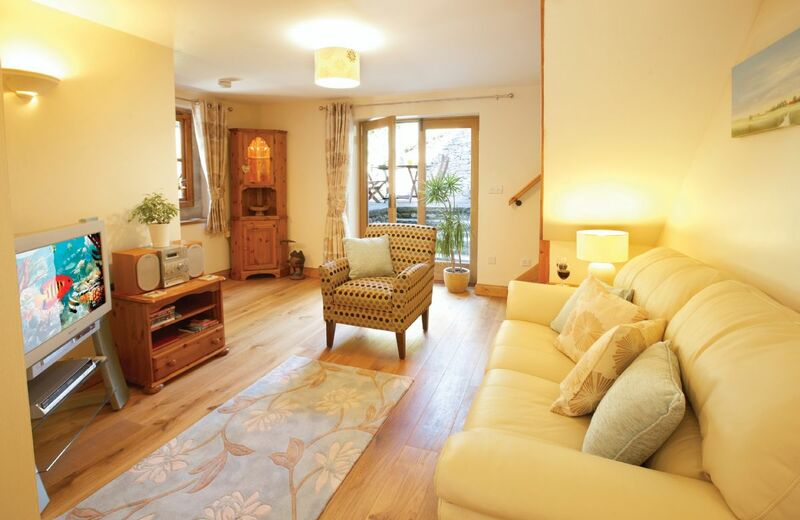 ), lovely cosy furnishings and well equipped. The veranda is a fantastic space to sit on and soak up the peace and quiet. I loved the shower room; small, but well designed. Piping hot water and good shower pressure. Kitchen had all necessary cleaning items and oven was good quality. Great easy cycling in the area and secure storage in a separate building. Owners were helpful and respected my privacy - the property does not overlook other accommodation. I loved it and have already recommended to others! Only suggestion I would make is to consider changing the zip and link bed to a 'whole' king size bed. Great place for a couple or singleton to recharge the batteries. What wonderful comprehensive feedback for Miller's Loft. I am delighted that you enjoyed your stay at our little gem. + Peaceful. Comfortable bed. Good shower. Nice balcony. - Sink/toilet area far too small. Very little space to unpack clothes. Thank you for your feedback and good positive points about Miller's Loft. We are sorry that you found aspects of the property too small for you. Very good accommodation and reception. Very pleasant surroundings. Total relaxation, with all on hand for a special break for two. This was our second visit to Millers Loft and it won't be our last. The location is great. The views from Millers Loft are fab. So so so so good. Really exactly what we needed! Just to mention a small thing which would have been useful to have - a map of the local area around Miller's Loft. There were a couple of maps in the flat but neither included the immediate area. Many thanks. From the owner ~ We are sorry that the map could not be found as one had been provided. We have now replaced this. Thank you again for your stay. Could not fault anything ..........We will definitely be returning to Miler Loft. 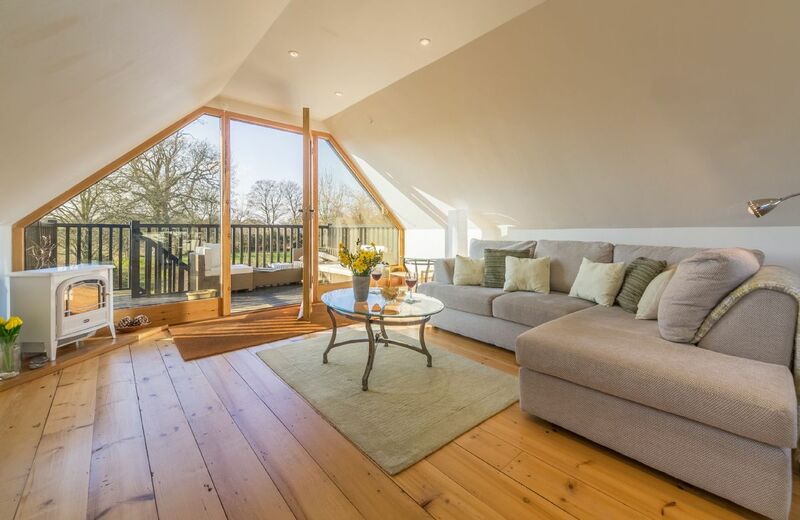 The loft is a perfect home from home retreat with all the facilities that you could wish for. The accommodation is finished to a high standard. The property would benefit from a telephone line for emergency purposes, given the lack of mobile coverage. We both have elderly parents and they would have no way of getting hold of us in a crisis. Also, whilst it was nice to be visited by the hens, a gate at the bottom of the stairs would help as the stairs, external platform and furniture all ended up covered in hen poo. The stairs also need urgent attention as they are very slippery in wet weather, and, as we found, dangerous when loading/unloading in the wet. From the owner ~ The property is in an area with variable mobile reception. A land line for emergency purposes is available on request as well there being as a public phone about 500 yards down the road. We are glad you enjoyed meeting our hens which are very popular with all our guests. A gate has now been installed to keep them at bay! The stairs have also been re-treaded to improve grip, but we'd always recommend guests take care when the steps are wet. This was a wonderfully appointed loft conversion, the Family were incredibly welcoming. We would strongly recommend this as a retreat. 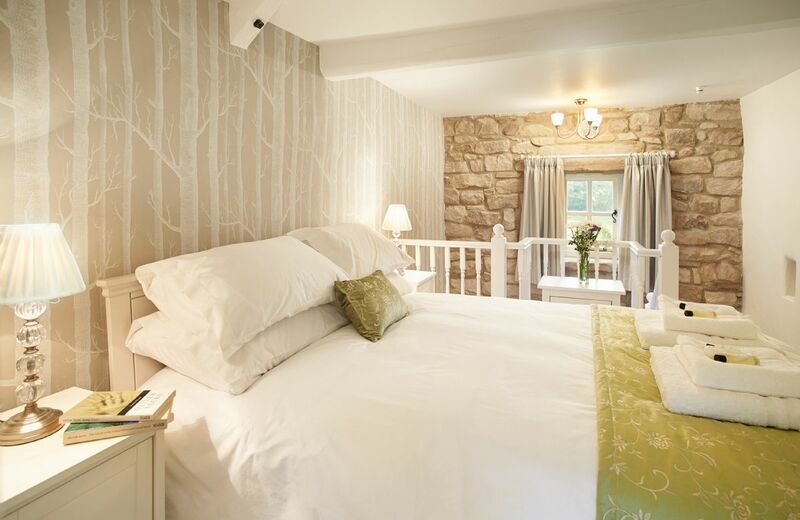 This romantic retreat for two offers stunning views of unspoilt countryside with frequent sightings of the resident barn owl and deer. 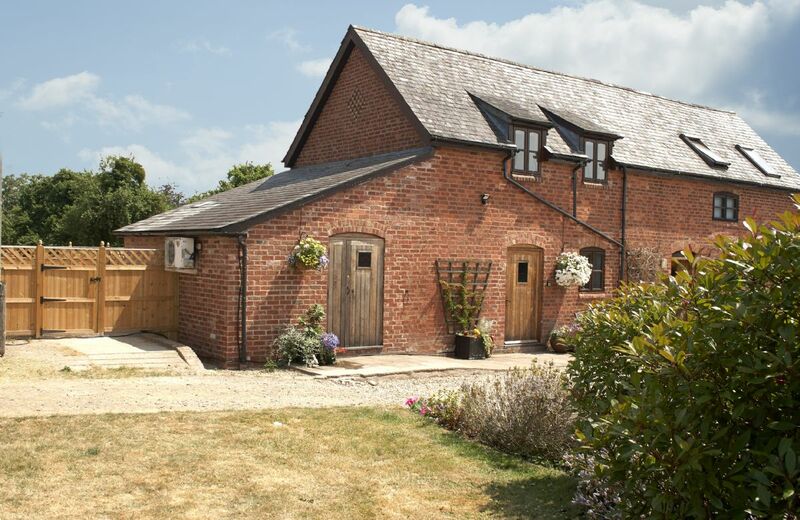 Situated in the village of Erpingham near the Weaver's Way footpath, it is ideal for relaxing and exploring. Set in the rolling Bodnant Estate with magnificent views of the River Conwy and the Snowdonia mountains beyond, Minafon is a secluded barn conversion that’s the perfect spot for a romantic break. 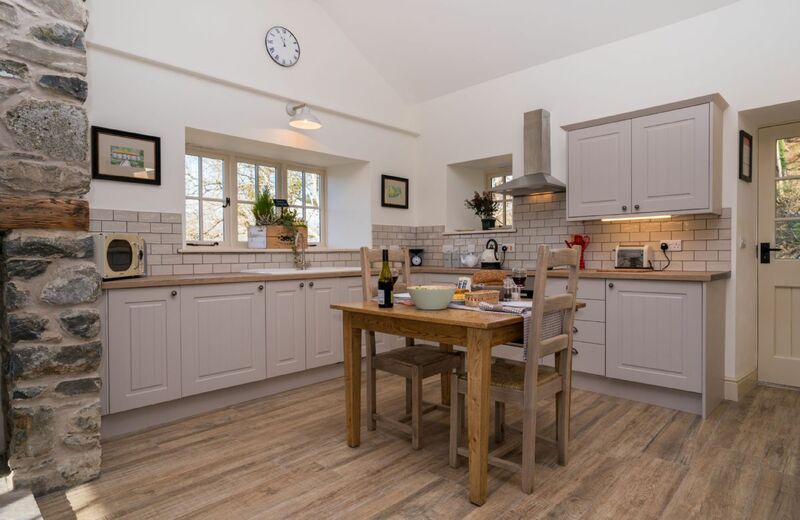 New Inn Cottage is a charming ‘one-up, one-down’ cottage which has been tastefully renovated to provide cosy accommodation for two guests, situated in a peaceful village surrounded by the magnificent Shropshire Hills. Brilliant as per last New Year. Superb hamper, excellent accommodation, peaceful location. Very compact and clean good hamper on arrival. We have returned 6 times to this quiet small but well equipped bolt hole. Always a welcome respite from the stress of life. Very clean well kept cottage in a lovely quiet location with a lovely sunny patio, however to make it a 5 star experience suggest more seating in living area, even a footstool as one sofa for two people not ideal. Also very little crockery and knives,forks,spoons so, had to use dishwasher more than we would have liked. The Old Bothy is a compact and convenient hideaway with no stairs to climb in a quiet location and close to a variety of eating venues. Facilities are good, useful hamper, wi-fi does work and we had no problems. Always lovely to stay here. We have been back many times. Slight worry was strange vibration noise from roof when wind blowing. We had never encountered this before despite staying here many times. Have told rural retreats customer service so hope nothing wrong as we love this cottage so much. Superb little bolt hole, beautifully renovated and equipped, perfect for our need. 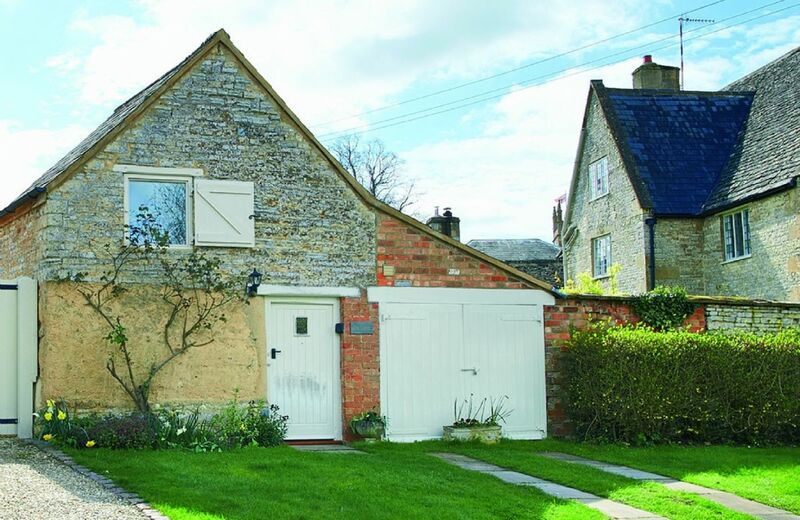 Great location, handy for lots of areas of the Cotswolds. 100% we would love to go there again. Small but perfectly formed this tiny bolt hole is the property you wish you could own yourself. 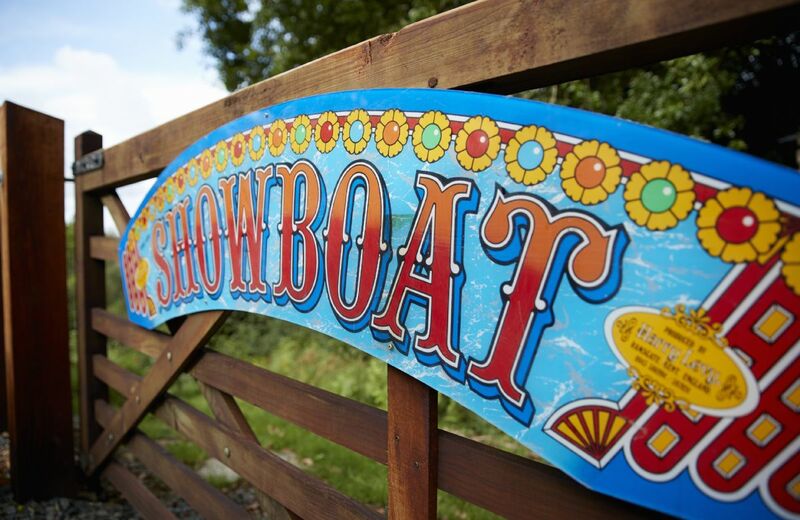 Carefully thought out so your every need is catered for in a beautiful tranquil setting. 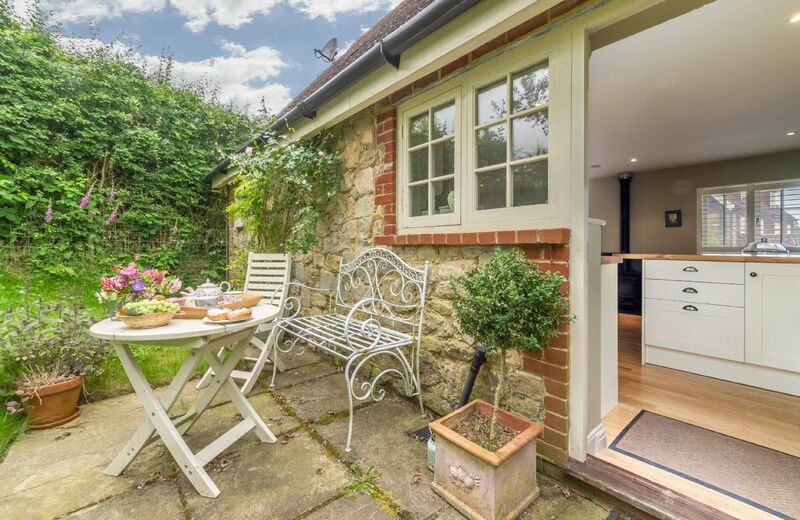 Soo cute, small but perfectly formed cottage in a really stunning village. Tucked away in a quite road, and very well equipped. i needed to extend my stay twice whilst I was there and the team at Rural retreats were as usual, most helpful. Thank you for your lovely review of The Old Bothy and our service. Excellent, small but space well utilised. No detail too small. Perhaps wifi only in kitchen a prob but that's rural living for you. We were disappointed that no warning was provided about the very poor wi-fi provision, but otherwise happy. Comfortable cottage with a good standard of furniture and fittings but could do with more cups/mugs/bowls etc, some of which were cracked/chipped, and a footstool would be useful in living area. Access onto the driveway from the road was rather difficult and would be better with a dropped kerb, and an extra row of paving or gravel would save walking over grassed area. I am very glad that you were comfortable at The Old Bothy and thank you for bringing the need for more crockery to our attention. The map on the website does not indicate the correct position for the Old Bothy which should be on the south of Queen Street after The Old Manor House (not down a gated alley as shown). As there are no street numbers we had to search by walking along the street. This is the smallest property we have rented. Perhaps a note indicating just how small it is on the booking page would be helpful. Location is attractive and excellently situated for the trips we wanted to do. I am sorry that our location map for the cottage wasn't accurate. Thankyou for bringing this matter to our attention. As a result we have adjusted the map settings. 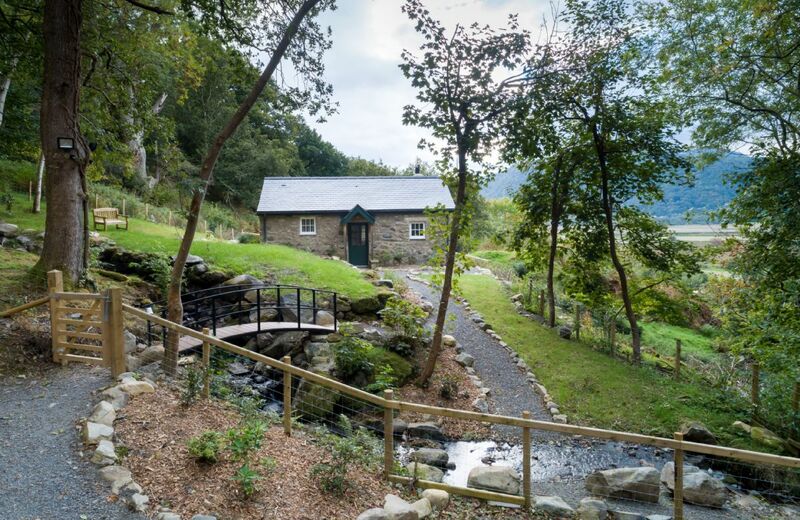 We describe the Bothy on our web page as a "compact single storey stone cottage" and I feel that the photographs on our website also show the cottage layout and scale realistically. I am glad that overall you enjoyed your stay in Halford. The property was great, in a fabulous location. The hamper was excellent. 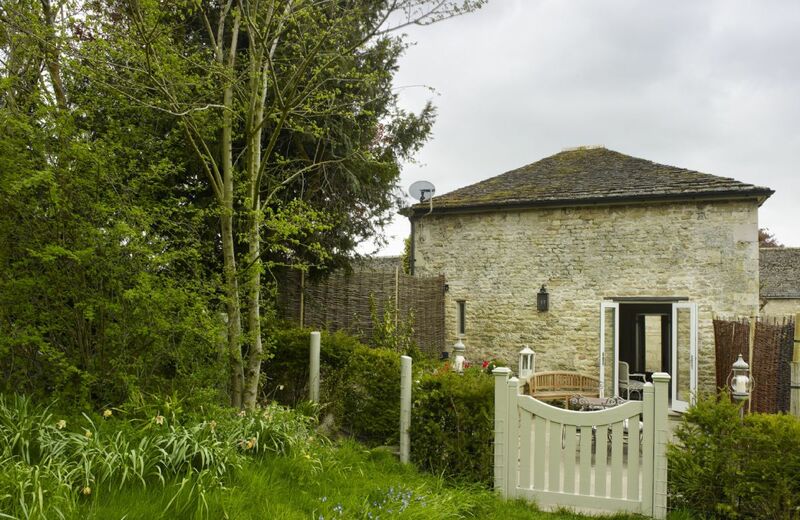 We love visiting this cottage it is small but perfectly formed in a beautiful setting. The Old Bothy is an amazing holiday cottage. 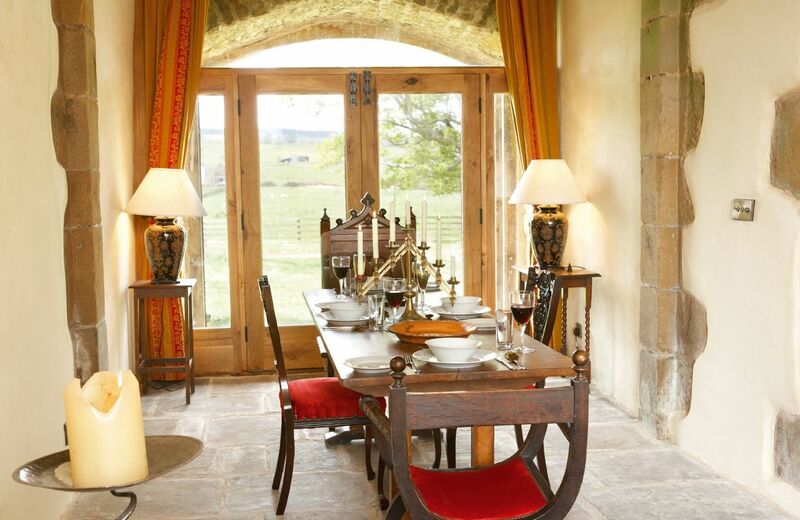 I loved the stone walls and the interior decor. 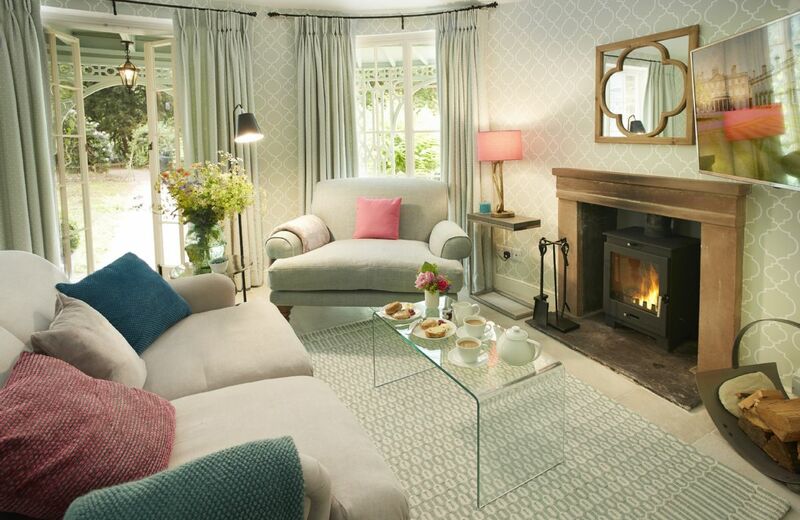 The electric fire is a cosy touch to the living room. 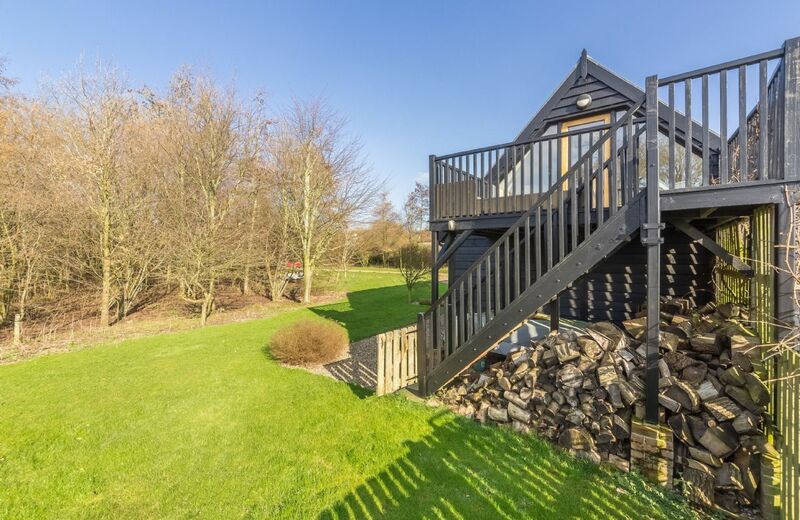 Everything about the Old Bothy is beautifully presented, clean and all the amenities you might need in order to spend a relaxing holiday are provided. The hamper was very thoughtfully put together with local produce that tasted exquisite and was a welcome sight after travelling all day, with the table laid ready for you on arrival. Thank you for a lovely weekend when I was really in need of a break. This detached cottage in the grounds of a 17th century Grade II listed house is furnished to a high standard. It is located in the peaceful village of Halford, which contains many historic buildings and a beautiful Saxon Church. For holidays taken between 30 April 2019 And 31 May 2019 Minimum of 3 nights booking. 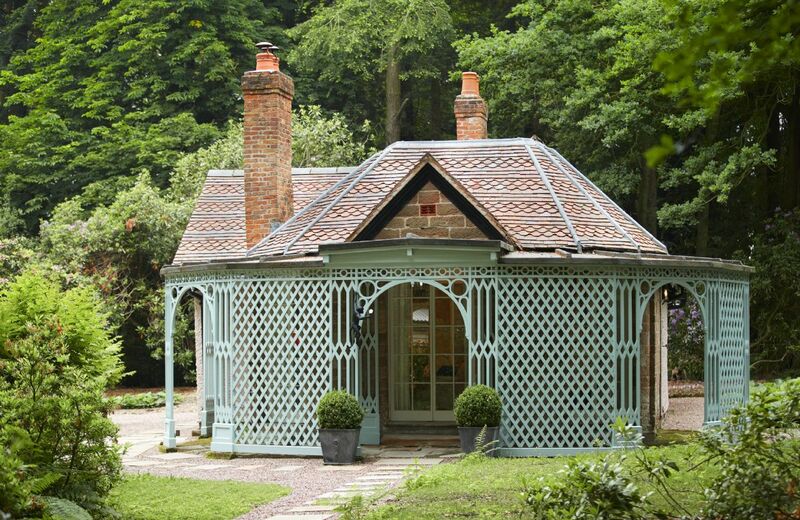 Nestled in the depths of Temple Wood, the Pink Cottage is a romantic retreat sleeping two on the Weston Park Estate. There are an abundance of walks and things to do on the Estate, while medieval Shrewsbury and the Shropshire Hills AONB are also in easy reach. River View is a sophisticated and stylish first floor apartment for two guests overlooking the glorious, unspoilt Hazlewood Marsh and the River Alde and situated on the edge of the delightful coastal town of Aldeburgh. Lovely appointed cottage. Welcome Pack and fresh flowers much appreciated. Wonderful rental! Very clean, terrific welcome basket (we had 4 breakfasts and a couple of snacks out of it! ), cute x 100...and the location literally could not be better. 10-15 minutes from Stow, Chipping, and Hidcote, and so many other great sites. Plus, best pub IN ENGLAND is about an 800 foot walk from the front door, in the center of the most idyllic village in the Cotswolds. We will be back! Charming cottage with secluded garden in a quiet beautiful village. Just what we wanted. Rose Cottage was just what we expected and as advertised. Peace and quiet was what we wanted and that's what Rose Cottage delivered. There was also a really nice welcome basket of local goodies which was a really nice touch as well. The booking process was simple and quick and their customer service was excellent. 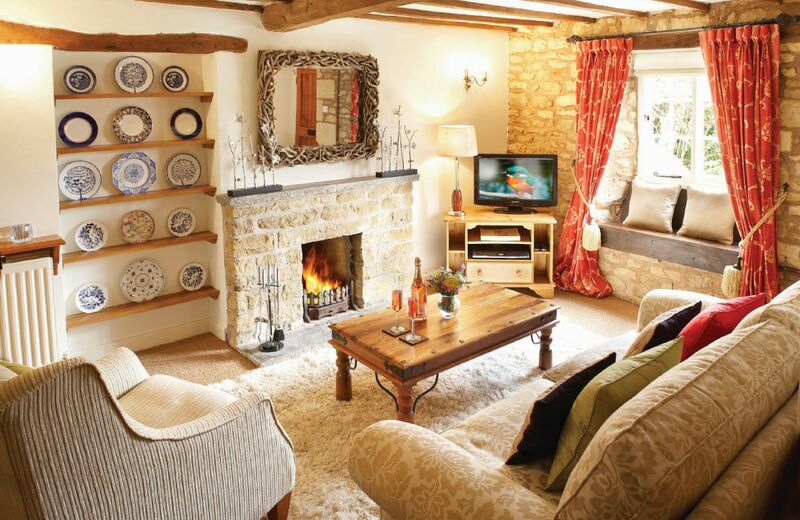 It was the perfect Cotswold cottage. The kitchen was fully equipped. The bed was very comfortable. Living room had it all, good t.v. fireplace, comfortable chairs and couch. The ambiance was so relaxing and invited you to return. A lovely back garden. The Rural Retreats team were amazing; the welcome basket had everything for the first day and into the week. Thank you for all your efforts to make my stay special. Beautiful cottage, beautiful town, very quiet, perfectly kept, ideal for a weekend getting away from it all - can't recommend it enough! 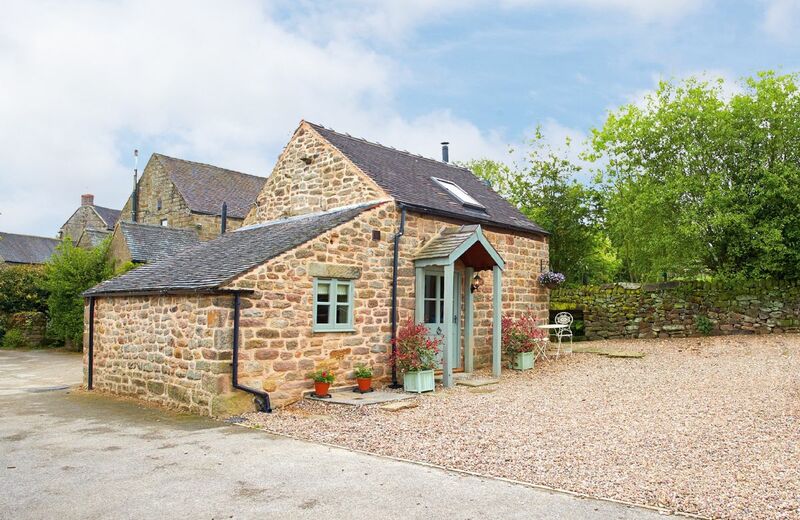 Delightful, well equipped cottage in a very quiet setting. The welcome hamper was excellent. Well situated for lots of interesting places. We will definitely come again. Me and my partner thoroughly enjoyed staying at Rose Cottage,pretty inside and out,and ideally located for a 3 minute stroll to the friendly Ebrington Arms. Cottage was beautifully presented, it was warm and cosy and the hamper was excellent. A perfect bolthole for my birthday weekend. 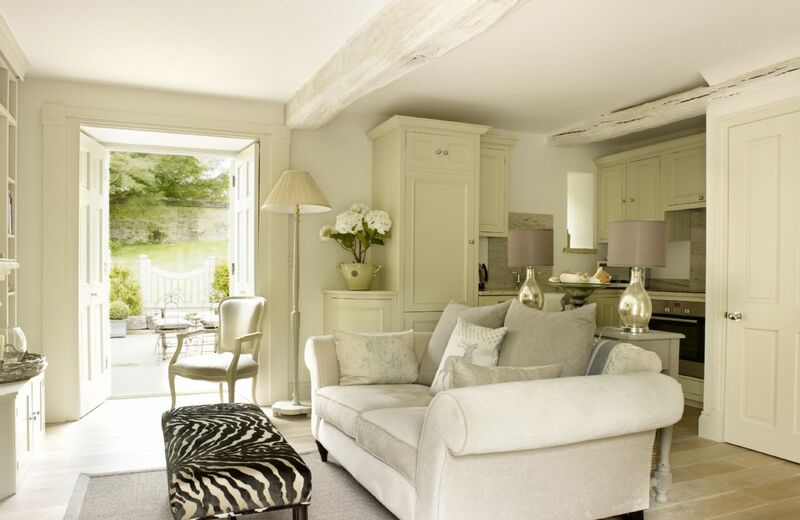 Rose Cottage is exactly what we expected and the village location was ideal. Cosy, well excepted and a perfect location. 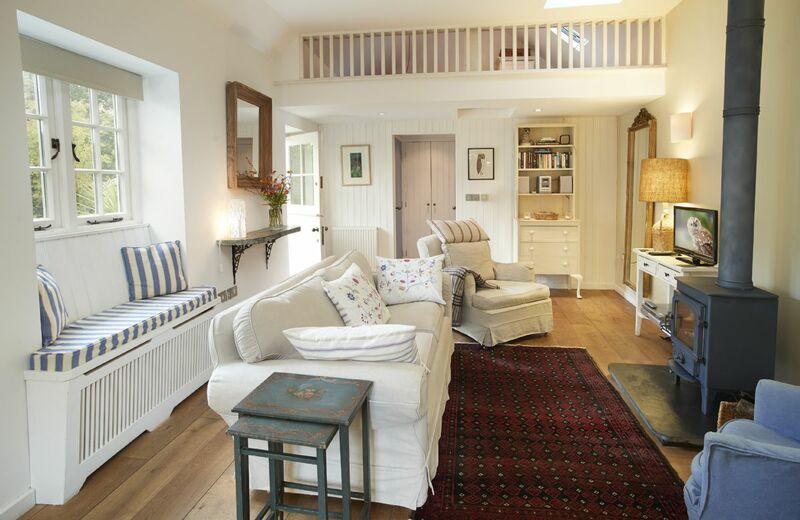 Beautifully clean and well equipped cottage - perfect. Excellent housekeeping and overall management. The cottage on the whole was excellent but there were a couple of reasons why we can only rate it as good...there was an unusual smell in the cottage which we could not source, it wasn't entirely pleasant but towards the end of the week it wasn't noticeable due to getting used to it. It would have been extra nice had the carpets not been hessian as this made it slightly uncomfortable if barefoot. Thirdly, we heard noises from the roof one night which we can only assume to be some wildlife living there with it being thatch. On the whole though the cottage was cosy, warm, very clean and the welcome hamper was excellent and we would consider returning. We were particularly impressed by just how immaculate Rose Cottage was and very cosy - and our Welcome Hamper was a delight! Local eggs, milk, bread, and cake, fruit, juice, wine, tea and coffee and cereals - we were very grateful and enjoyed it very much. What a great thing to arrive to late in the afternoon. We had a few problems with lightbulbs and a hidden light switch - but all sorted out by friendly local Rural Retreats Staff - we are very impressed and we will be booking with you again! Again full marks for the beautiful cottage the whole service provided was top class ,everything was perfect and well worth the money.everything was so clean and perfectly presented and the welcome hamper was lovely! It really made our short break so special we were truly sorry to leave! Rest assured we will be back as we ran out of time to see it all! 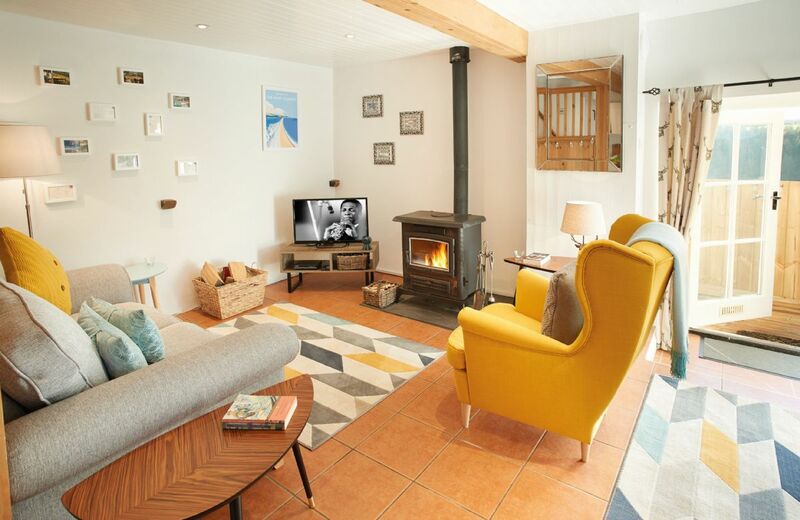 This is the second time we have used Rose Cottage,itself, proof that we love it. On a very minor note,not worth a mention at the time, the notes accompanying describing places to visit etc. One suspects that a section that describes places of interest being a short walk from the cottage are being confused with Moore Cottage: Rose Cottage is certainly a little more than that to Birdland for example (14.8 miles!). The Cottage is great though and we had a giggle about it. We felt cottage was a bit small but perhaps that was a personal thing. Welcome hamper was nice although we would have appreciated some additional cereal (only two small boxes available) and perhaps a smaller cake ie. a loaf cake; the Victoria sponge was very nice (we actually took it home with us) but it was a bit large for two people! Cottage was clean and tidy and all-in-all a good base for visiting the local tourist areas. 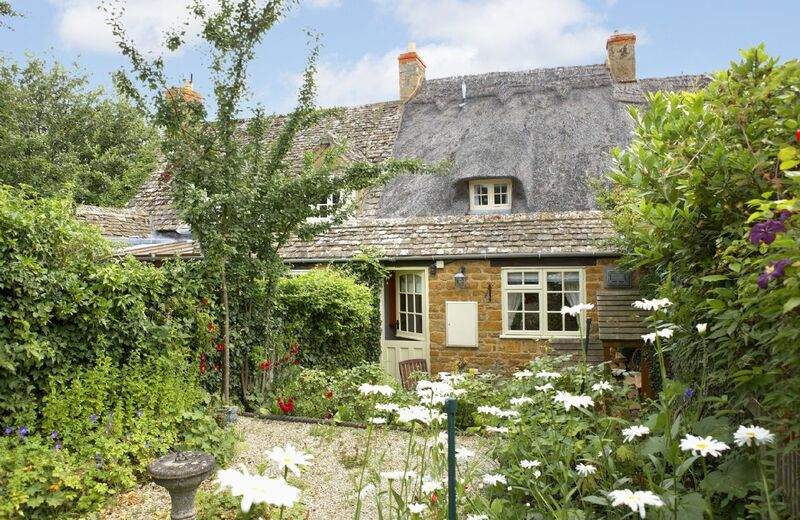 This Grade II listed, 18th century, thatched, Cotswold stone cottage has been stylishly refurbished and benefits from an open fire and enclosed cottage style garden. Situated in Ebrington, one of the most exquisite villages in the North Cotswolds and home to CAMRA's Pub of the year the Ebrington Arms. 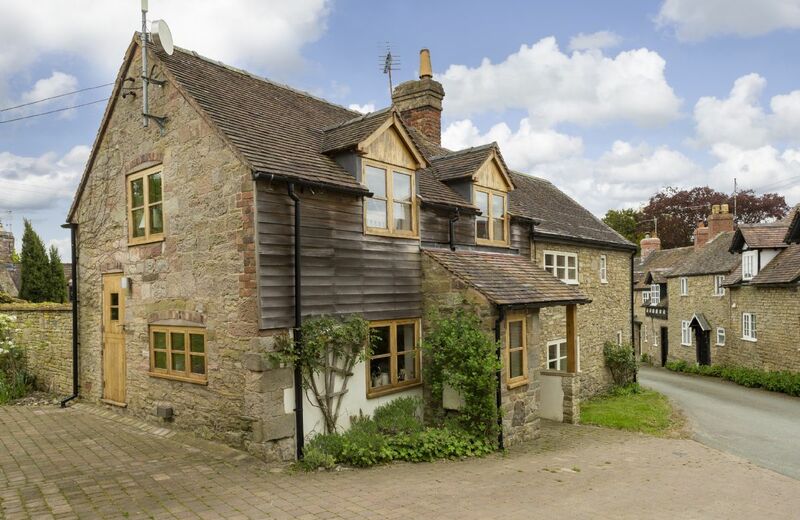 The property is ideally situated with Chipping Campden (3 miles), Broadway (8 miles) and Stratford-upon-Avon (13 miles) all within easy reach. 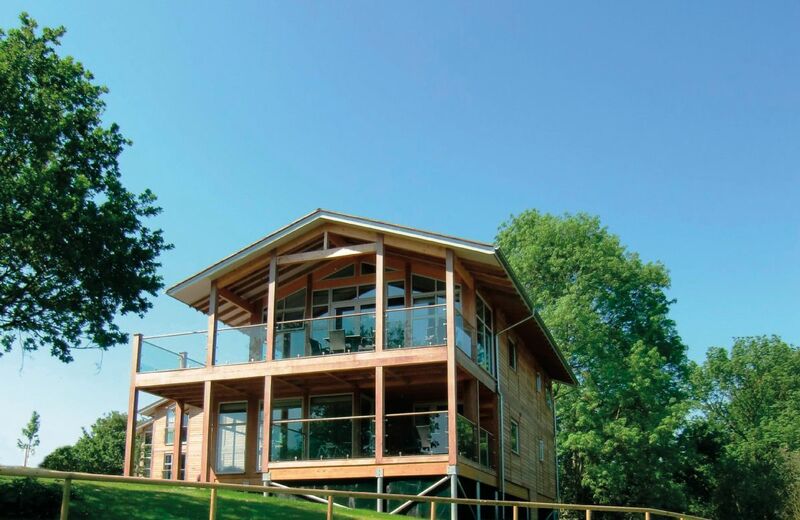 Russet is one of four, one-bedroom country penthouse lodges located in the peaceful surroundings of Constable Country in Suffolk, in an Area of Outstanding Natural Beauty. Guests can enjoy complimentary use of excellent poolside and gym facilities, as well as discounted rates for spa days and golf on two onsite championship courses. Sakers Cottage nestles within the last remaining Apple and Pear orchards of the area. It has a completely self contained and very private garden. Enjoy long summer days sitting in the shade of the old tree and enjoy the fragrant scent and colours of the summer flowers planted in borders and pots on the paved terrace. During cold winter days, stay cosy and warm inside and admire the ever changing view over open fields from the panorama window upstairs in the cottage. You may even catch a glimpse of one of our rare breed pigs in a far paddock! 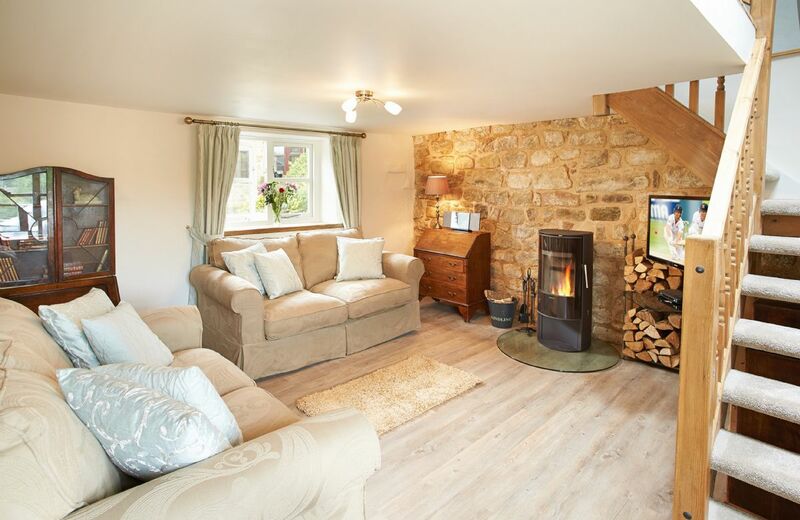 Lovely cosy cottage, with tasteful interior and every possible extra that you could want. Made to feel very welcome on arrival and the accommodation is to a very high standard. Great location too. Decor was tasteful comfort able and well equipped. Owner was extremely helpful! 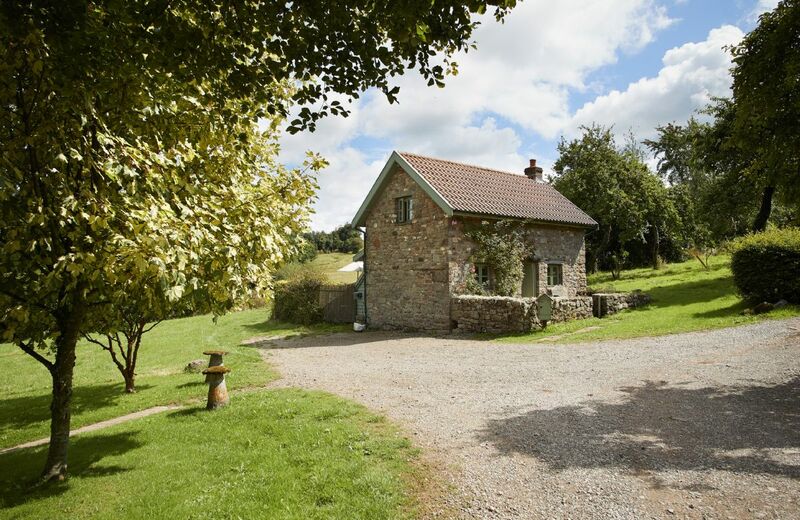 Seekings Cottage is a delightful farm cottage for two, located on the edge of the beautiful Exmoor National Park. Several good pubs are close by, including one Michelin starred. The village of Dulverton is within an easy distance. 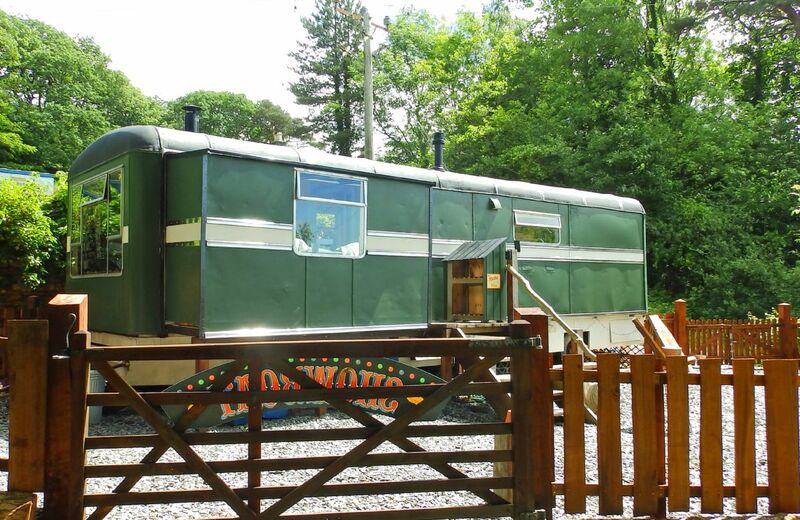 This renovated 1950s fairground travelling-van overlooks the Mawddach Estuary near Dolgellau in the southern reaches of the Snowdonia National Park. 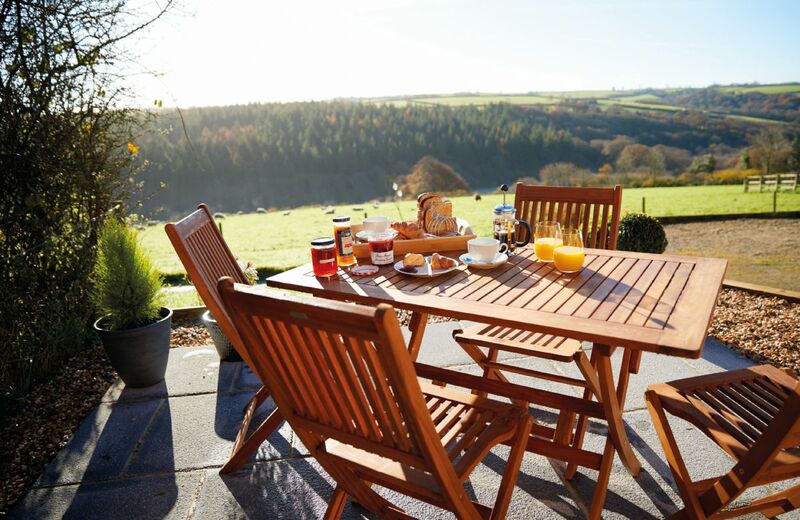 Situated at the head of the beautiful Cwm-Mynach Valley, an area popular with walkers, cyclists and mountain bikers. Lovely little cottage tucked out of the way but close enough to major routes to get about and also great walks straight out of the door. Very clean and well equipped in terms of kitchen and entertainment options (tv/DVDs/books/games) and excellent welcome hamper. Only negatives are that we were with our 18 month old and it was very tight to fit his travel cot in the bedroom - probably more appropriate to be advertised as for a couple only! Also the shower was a bit disappointing (weak, lukewarm). Overall would strongly recommend as a Peak District getaway though. The cottage was superb, very well equipped & great location. Fantastic cottage with very high spec.Welcome hamper must be one of the best.Owners Roz and Rob very welcoming.Could not fault anything. Brilliant owners located near by and the welcome hamper was amazing! A well-equipped cottage that was perfect two! Going on walks from the cottage was easy, due to the prepared routes that were there for you to take with you. I highly recommend the French restaurant in Wirksworth too!! Fabulous accommodation with great country views and walks, Roz and Rob left a lovely welcome hamper which included treats for our puppy, a great information pack for local walks, they were very welcoming and we felt Sparrows Roost was home from home. Brilliant. Perfect little house, close enough to shops and restaurants. Great hosts-so helpful! The great reviews for our little gem Sparrows Roost continue - thank you so much for yours. Definatley 5* without a doubt! I would come back tomorrow if i could. Loved it! 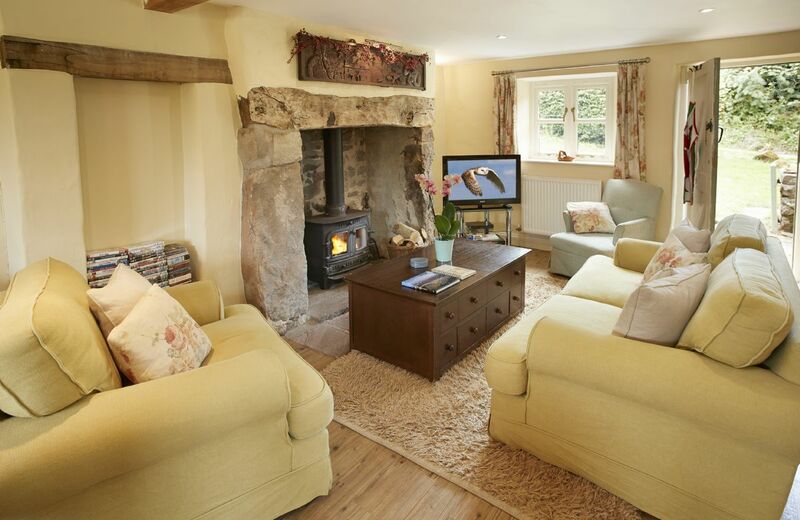 Our holiday cottage was just perfect for our needs - extremely well appointed, warm and comfortable. Plus an excellent hamper of supplies. Thank you so much. We are delighted by your lovely comments about Sparrows Roost. Even though the weather was bad this little cottage was wonderful. Every detail had been carefully considered for our requirements during our stay and a wonderful hamper was waiting for us. Thank you for your review. We are delighted that you had a lovely holiday at Sparrows Roost. Everything was perfect. A very quiet location in lovely countryside. Beautiful cottage with lots of extras, the hosts were helpful but non-intrusive and left a lovely hamper for us to enjoy. We had a relaxing break in stunning surroundings and couldn't fault anything, even the weather behaved and we had glorious sunshine. Fabulous cottage , excellent facilities , beautifully clean - perfect ! Ros and Rob were amazing hosts. i would highly recommend visiting Sparrows Roost. wonderful place, so peaceful. The cottage was absolutely spotless. The welcome hamper was much appreciated. There was also an information pack for guidance and things to do in the area. Brilliant! The owners were very friendly and helpful and left a wonderful welcome pack. The cottage was in a lovely location and had been refurbished to an excellent standard. The cottage was very clean and comfortable and only the easy chairs let it down slightly, as they were not of the same standard as the other fixtures and furnishings and were a little lacking in comfort. Very happy with cottage, just the flies due to hot weather and close proximity of animals. Owners very obliging, lovely home baked bread. 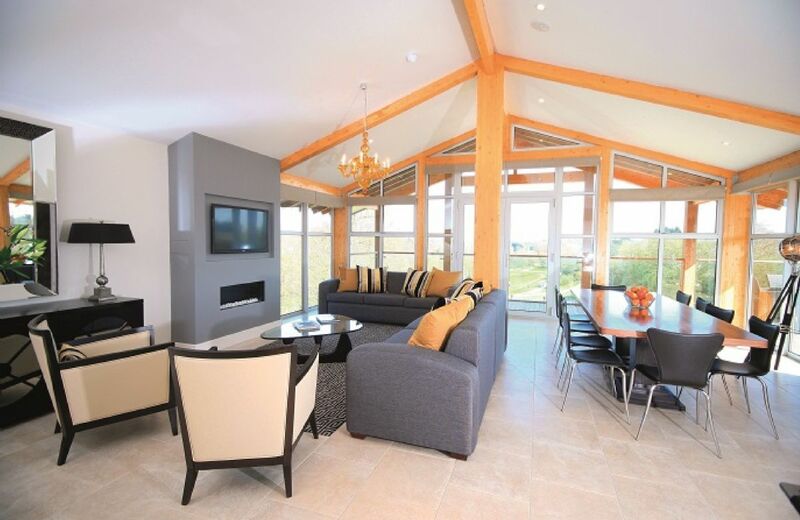 Absolutely amazing cottage, beautifully furnished, very spacious and it has great views. Perfect for family get togethers or lazy weekends. 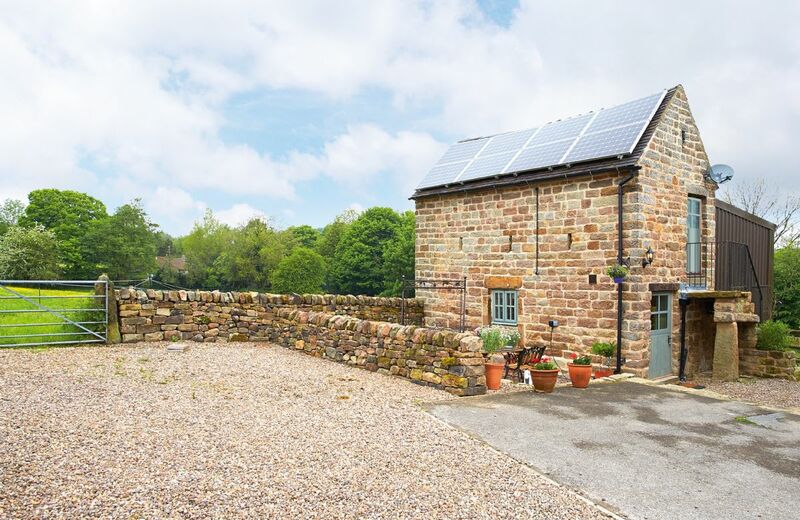 Located in the picturesque village of Alderwasley, on the edge of the Peak District National Park, this lovely one-bedroom cottage features exposed stone walls, an open plan kitchen/dining and living area and a feature sunken patio. Comfortable,cosy cottage. Our host had provided everything we could need including a well thought out hamper to get us started. Slept really well in gorgeous large bed. Wonderful spot in the centre of Painswick but tucked away so very quiet. Stones throw from pub and restaurants. An ideal centre for exploring this beautiful region. Spring Cottage was a delight. So stylish and comfortable and felt like a real home rather than just a holiday let as there seemed to be so many personal touches. Beautifully presented and spotlessly clean. Very thoughtful touches for dog owners with things like the dog tag, bowl, mattress and biscuits left. My own dog made a beeline for the mattress! In a really quiet and peaceful location with views from the bedroom to die for. I was lucky to be there in splendid weather so made the most of the garden and terrace and my 5 days came to an end too quickly. I very much hope to return. What a wonderful review for Spring Cottage. Thank you so much. It’s a lovely cottage with a sun trap little garden. It’s beautifully kept and decorated. My only issues were around parking. There is no parking at the property and it means crossing a road which can be quite busy. 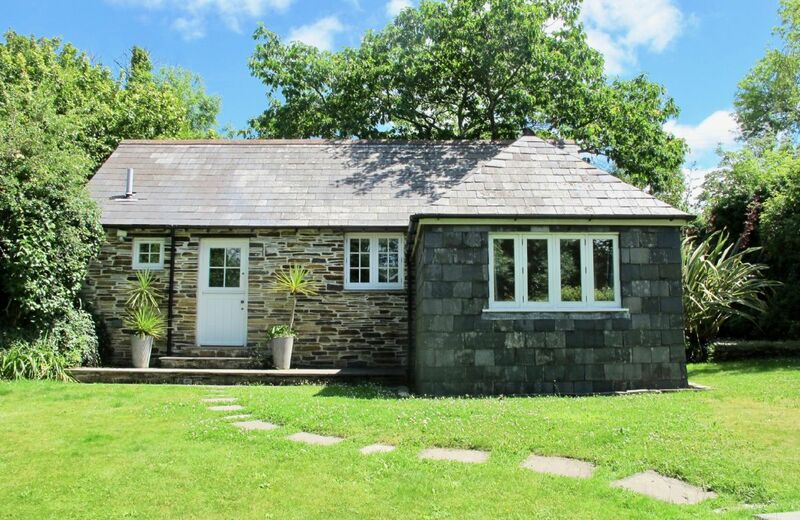 Lovely cottage, very comfortable with everything you need provided set in s beautiful area with loads of excellent walking direct from the cottage. This was a lovely cottage in a great location. It was a home away from home and the welcome hamper was a lovely touch. A very comfortable and well equipped cottage, with a very helpful owner. Only drawback is need to carry cases etc across the road and to park the car in local car park. 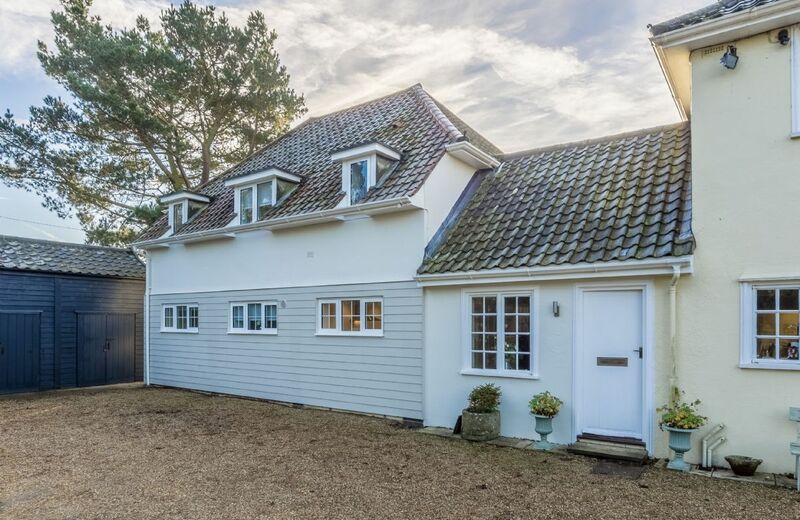 A very well appointed cottage in a good location. Well appointed little cottage perfect for a couple. 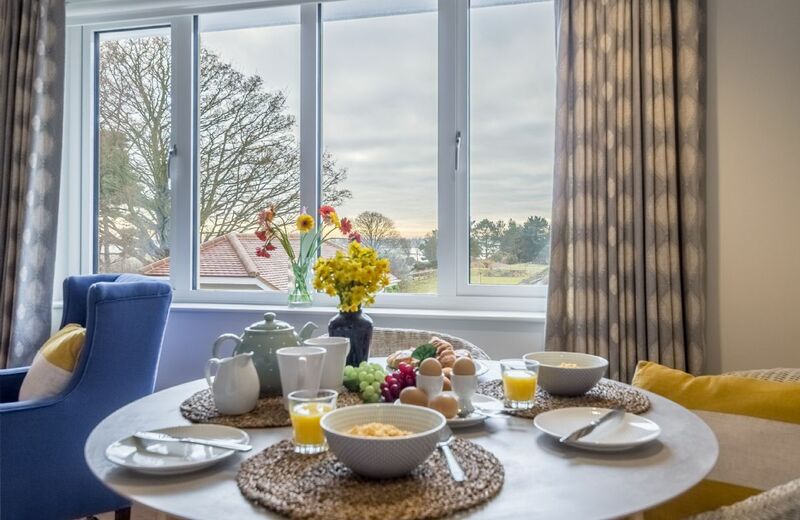 Looks beautiful inside and out with a comfy bed, high quality furnishings and lovely views. One thing we hadn't expected is that there is no washing machine. We had just assumed there would be one in a fully fitted kitchen and neglected to check beforehand. As a result we arrived (this was the end part of a longer holiday) with clothes that needed washing and was dismayed to find that there was no machine. If we had realised in advance, we would have washed our clothes in the previous holiday home. We like to travel very light and wash things as we go, so this was a bit inconvenient for us. One other small niggle is that we were provided with only three capsules for the Nespresso machine. For 2 people staying 5 nights this is not enough. Again, if we had been aware of this in advance, we would have brought our own capsules from home. We didn't realise that you can buy Nespresso compatible capsules at Waitrose until we left (in Hong Kong where we live, Nespresso capsules can only be purchased direct from Nespresso), so this meant that after using up the 3 capsules that had been provided, we couldn't use the machine. Perhaps a note could be left for international guests on how to purchase additional capsules in the UK. The lack of a parking space outside the cottage is a minor hassle. Detailed directions are giving on where to park, however, so you can work around this. For most people without mobility issues, this shouldn't be a huge problem. In all, we enjoyed our stay. Thank you for your lovely comments about Spring Cottage. Sorry about the washing machine - it is a small kitchen but I can appreciate in your particular circumstances that you would have wanted one. We have now highlighted on our website that there is no washing machine at the property and I have passed on your comments to the owner about the Nespresso capsules. Wonderful base to explore the Cotswolds, but parking is an issue. Spring Cottage is a lovely property and, as said on the website, it doesn't have its own parking. A car park is accessed through the historic churchyard. Beautifully presented cottage, everything we could want had been thought of. Stylish and beautiful decorated everything you could ever need supplied. Spring cottage was immaculate. There was nothing that could have been better. A query involving the heating was dealt with very quickly. The cottage was clean, well furnished and comfortable. The bathrooms were particularly good. The location is excellent and cottage equipment was spot on. Our dealings with the owner were good, she could not have been more helpful. Perhaps just me but I did struggle to open the key box, but a minor issue. Would have been good if the garden was enclosed for the dog but other than that the property is exceptional. Looks like it has been recently refurbished and felt very luxurious. A very nice welcome hamper, very well equipped property and nice towels and bedding. It is in a gorgeous village with two good pubs and lots of great walks from the front door. We would love to return. In excellent condition, and in an excellent location. Lovely, clean and well presented. Very helpful housekeeper who sent us very nice welcome and goodbye texts. 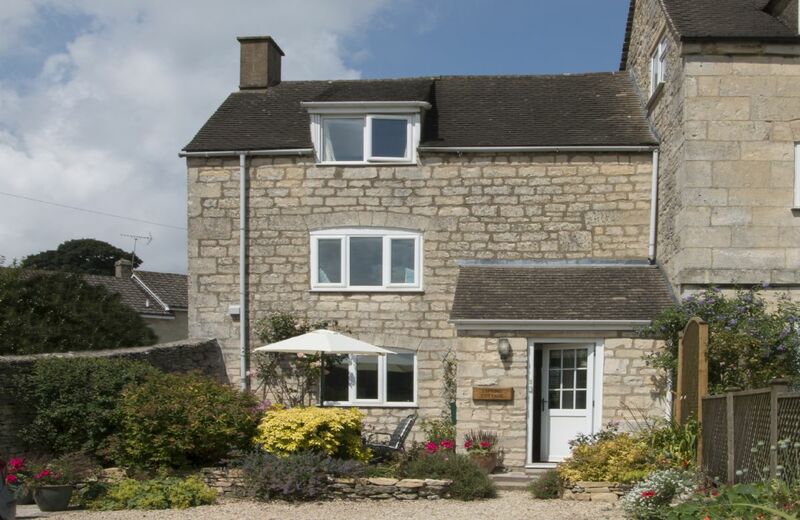 Spring Cottage is an idyllic, cosy, self-catering holiday cottage for two guests, situated in the heart of Painswick just a stone's throw from St Mary's Church yet secretly tucked away in a peaceful, private spot. 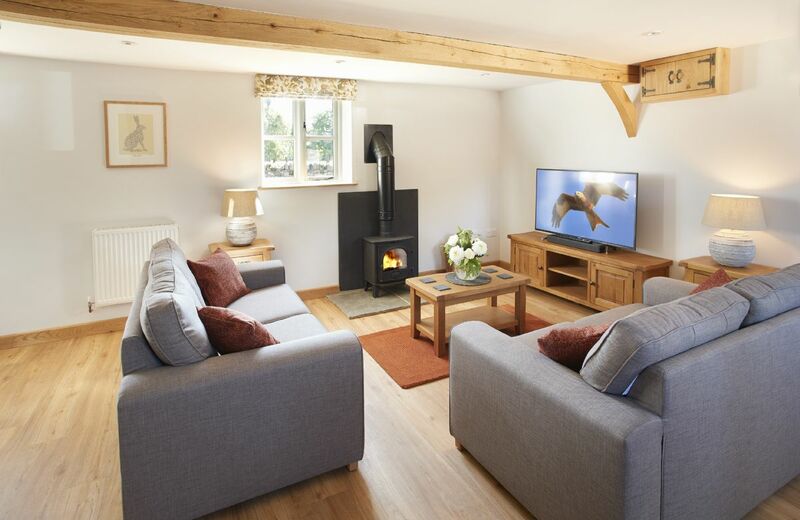 This luxury cottage has recently been refurbished and faces south with wonderful views. 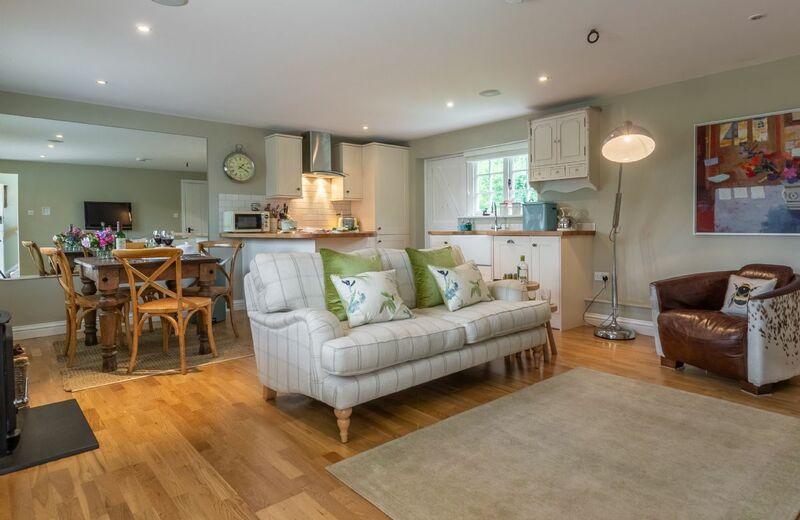 Modern and stylish yet with traditional charm, it is the perfect rural retreat being within close walking distance of several excellent restaurants and breath-taking Cotswold countryside.